Hello, gaming freaks. So 2018 is already diving in, and we are yet to experience and watch what things are coming over next few days. While you are here, don’t mind to check the Best VR Games over the Internet which we have picked upon user satisfaction. So, read it and let us know which VR game you did like the most? Well, I can bet on the fact that you are now very much seeking some good Best VR Games (Virtual reality) to play. Because there are tons of Best VR Games out in the town, but choosing the real best out of them is really a tough task. So, here we are at TechinPost to help you out with picking the best VR games of 2018 which you might wanna give a shot. All these games can drag the goosebumps out of it. You just need to keep the pace and enjoy the gaming. What is VR aka Virtual Reality? You must have heard of Virtual Reality for a long time since it is out. Actually, Virtual Reality is one kind of 3-Dimensional path which you can experience by wearing a VR box (Virtual Reality box). It is just like wearing a 3-D glass in the theater. The only difference is that your mobile phone is your theater and VR box is your glass. To experience Virtual reality on your smartphone, let it be a game or some kind of movie you have to arrange 2 things first. One is the VR box and another your smartphone which must be compatible according to the VR box. Then you have to insert your smartphone into the box and wear it on your forehead. That’s it. Now you can play any virtual reality movie, game or whatever you want. There have been a lot of improvements in Virtual Reality accessories day by day. So, Virtual games are not left behind too. By HTC Vive you can rush and play in Virtual reality world for unlimited fun. This is applicable in standard, 3D, 180°, 360° views. HTC Vive comes with a headset with 2 wireless controllers. When you start playing Best VR Games with it, you will feel the ease. PlayStation VR was first released in October 2016 by the SONY company. The main feature of it is that you can output the images/videos to both the headset and television while playing with it. Also, you can track the surrounding of you in the game in a 360° manner. Oculus Rift is output by the parent company Oculus for virtual reality players. This single VR set can give you the thrills which no other VR device can. It has many user-friendly features as transcendent sound quality, great control, and impressive design. You can avail it from its official website or an e-commerce site like Amazon. Probably, Google CardBoard is the cheapest VR headset you can find online unless you build yourself one. It is just a VR headset made of simple cardboard which can provide you great user experience, along with gaming fun and many more. There is a Google VR application available on the Play Store by which you can operate this device.The quality might be a little compromising, but this is the best VR headset for the Best VR Games list which you can grab by paying less than $5. Ain’t it super? So let’s get started about our 12 Best VR Games of 2018 which you may not wanna miss. Like each of the terrifying movies from the Resident Evil Series, Resident Evil 7: BioHazard is one of the best VR games which is available on the Internet to play. This game is very interactive, strongly optimized for best ever performance so that you enjoy to the fullest while playing it in Virtual Reality mode. Dunno where to get the game? You can find Resident Evil 7: BioHazard Virtual reality game right on either Amazon or PlayStation. The elite franchise, maybe 30 years old, but still kicking off good with their games. You can take Elite: Dangerous as an example. Elite: Dangerous is really a mind freaking Best VR Games for the 21st-century people. It is a multiplayer game where the objective of your mission is to go through a cutthroat galaxy. You can avail it on Steam before it goes out of stock. Elite: Dangerous’s price on Steam is US$ 29.99. This is another fun and Best VR Games which will let you know the experience of being a jobber. Actually, Job Simulator is a way forward game, wherein the year of 2050 all the jobs are replaced by robots and AI. Overall, there will be four jobs as an office Worker, Store Clerk, Gourmet Chef, and Auto Mechanic. You will be able to play and experience these jobs with the help of simulations. It is available both on PlayStation 4 and Microsoft Windows. Job Simulator’s price on Steam is ‎US$ 19.99. Keep Talking And Nobody Explodes is one another creative Best VR Games out there. It requires a recommended of two to six players. In this game, one player has to defuse the bomb while the other players will give backup and instruction to the player defusing the bomb. But this ain’t gonna be that much easy. This game requires a good amount of cooperation from other players. With the correct group of people, this game is really fun to play. The game is available on Steam for only US$ 14.99. Eagle Flight is an exhilarating Best VR Games where you are an eagle. It is similar to the old Nintendo game Pilotwings but in a very modern presentation. Eagle Flight let the users fly up in the skies and explore Paris. You will be flying over Paris – After 50 years since the humanity has died out. Now that is more interesting, isn’t it? The game is currently available to play out on Oculus Rift, HTC Vive, and PlayStation VR. Also, you can avail it from Steam for only US$ 14.79. Arizona Sunshine is one of those Best VR Games which stands out from the crowd. The game itself is built-in a way to provide you a lengthy VR session. Now, who does not likes that? Arizona Sunshine provides you a very fun experience. The concept of the game lets you discover and explore the zombie-infested wild west. Moreover, you get teleported around the environment. Which actively reduces the motion sicknesses which occurs due to playing VR games for a long time. The game feels like, what other Best VR Games may evolve into in the near future. Overall, in short, the game is all you need to excite up your nerves at once. It is available over Steam for US$ 39.99. GunHeart is a multi-platform co-op shooter Best VR Games. But the game is specifically developed keeping the VR in mind. Inside the game, you along with your friends are going to kill off the alien bugs. Killing them will get the player loot and upgrades, which you can use to level up your abilities in the game. In shorter words, the game is really fun to play with friends over multiplayer. The game portrays a group of bounty hunters, you and your team can either avoid the attacks or fight them off. Gunheart is exclusively available on Steam and Oculus Rift. This co-op shooter VR Game is available on Steam for only US$ 29.99. Go shoot some freaking aliens! Minecraft, as fun as always it was is now available in VR. This Best VR Games is reported to the available in both Oculus Rift and Samsung Gear VR. So you do not actually have to flash off a lot of money on the Oculus Rift to enjoy Minecraft in VR. Just like Minecraft, there is not much to the story. Batman: Arkham VR is more of a self-sufficient detective story which makes it stand out of the best VR games in the era. And Batman: Arkham VR is not a suspected sequel or prequel to the current Arkham stories. The game is actually a little less exciting than other best VR games. All mostly because you won’t be getting to see more than a half-an-hour story based mission in the form of a VR. Yet, more or less, you will be paying as much as you pay for a full-sized game. Available on PlayStation 4 & Microsoft Windows. Eve: Valkyrie is one of the Best VR Games which is very cool. Actually, it is a multiplayer dogfighting Virtual Reality game which was released preliminarily for Windows. Then the developers pulled it out to other Virtual Reality platforms like Oculus Lift, HTC Vibe, and Play Station VR. This game may make you feel just a little sick maybe, but that can be traded off for an awesome gaming experience, right? Eye: Valkyrie is one of the best VR games which is available on Steam. Dear Esther is a unique concept, presenting first-person exploration Best VR Games with walking simulations. Have you ever wanted to feel something while playing VR games? Well, that is where VR lacks in terms of interaction. That’s when games like Dear Esther kicks off. It is kind of exploration game, which lets you discover a remote Scottish island. The game seems really beautiful to play. It is currently available on Steam. Lucky’s Tale is specially made for Oculus Lift bundled with star Eve: Valkyrie. Believe me, when you start playing the game, it will remind you some of the games which you have played in your childhood. If you mix up both the Mario 64 and Crash bandicoots, well that’s what you will get here. The game might sound uninteresting, but trust us, it is good enough to give it a shot. Get it for Microsoft Windows. We at TechinPost tried our best to list out some of the most amazing as well as Best VR Games out there. Out of all the other VR games, hope you will like our selection. If you do, do let us know which was your favorite & Best VR Games in the comments down below. If you liked multiple of the Best VR Games just like us, you could comment all of them out too. At last, if you think that we missed something in this 12 Best VR Games (Virtual Reality) list that is your favorite one, do let us know about it too. Till the next time again, happy gaming, and PLAY HARD! Hey there, this is Abinash. 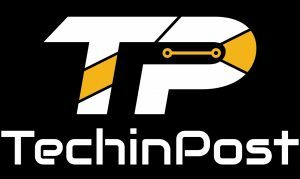 I am a part-time Freelance Article Writer & currently Contributing to TechinPost. So, Stay Tuned to TechinPost & also don't forget to Read all of my Articles.